We are in April, and with April comes the famous Feria de Sevilla, one of the most internationally known events in Spain. Seville gets all the attention, and people come from Spain and the whole world to dance sevillanas for a week. For fans of the Feria is a very fun time and they do not need anything else to have fun. However, if it is the first time you travel to Seville or do not know how to dance Sevillanas, full days with uninterrupted music of this genre may at some point get tired. 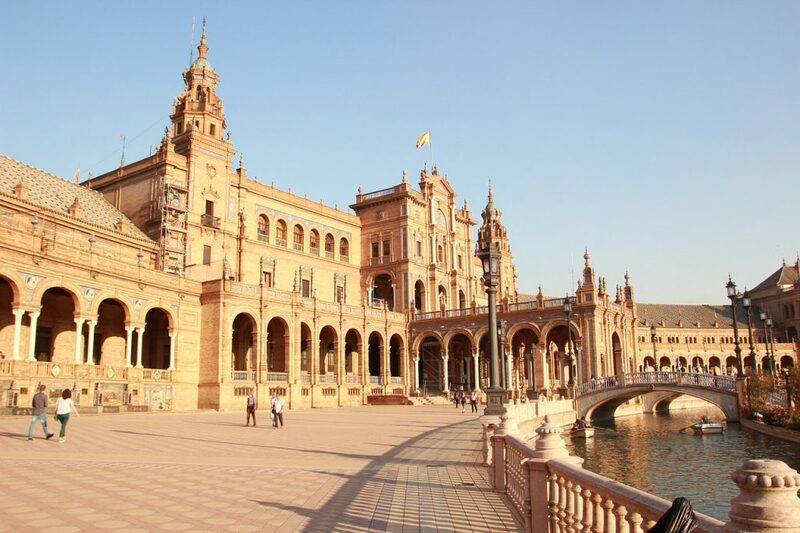 The good thing is that Seville is spectacular, and easy to enjoy. 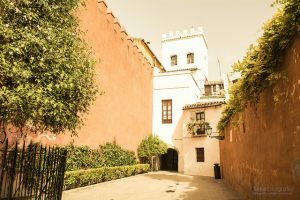 Here are the 5 things that Fernando, my Sevillian friend, has told us, you absolutely must do. And there is great news: the first four are all stuck together. That’s why we advise you to start the day soon enough and visit at once as much as you can. 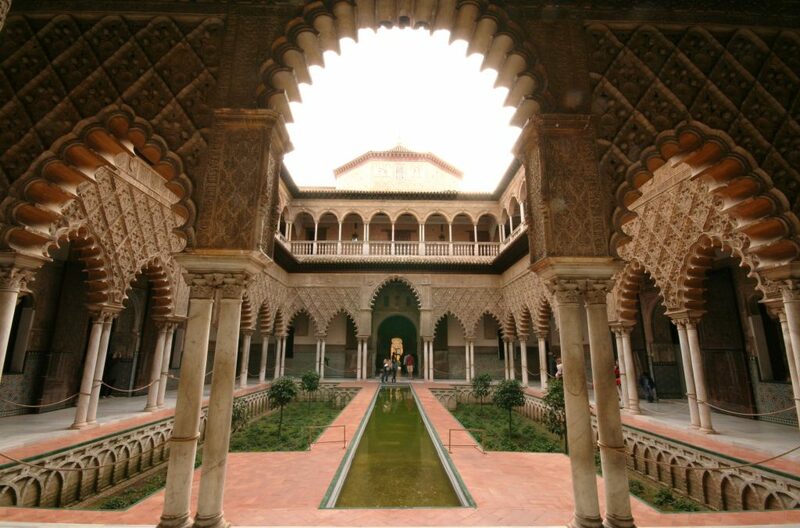 It will be easier to move and get tickets for the monuments if you visit Seville with our Portable Wifi. It is part of the Cathedral of Seville. This tower of the XXII century is an icon of the city. It looks small but is 100 meters high and was for centuries the largest tower in Spain. It is a national heritage since 1987. 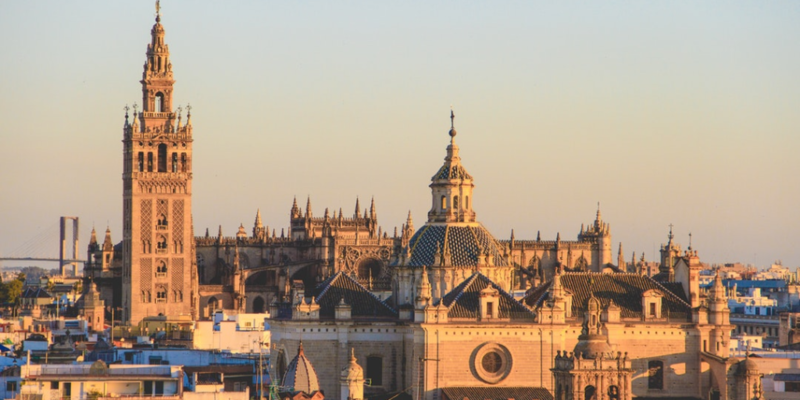 By being part of the cathedral of Seville, you can buy tickets on the website of the cathedral that we indicate above. Here we show you a picture of both. Impressive, right? 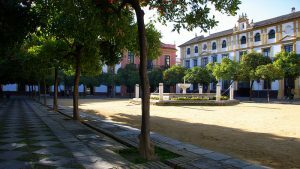 Starting from the Plaza del Triunfo from where to see the Giralda, the Cathedral and the Reales Alcázares, you will find small streets with terraces, orange patios, picturesque squares and small churches. Walk aimlessly and explore every cranny. You can do this after the first three recommendations, or pause between them to take a walk and enjoy a coffee, wine or tapas, before seeing the next monument. 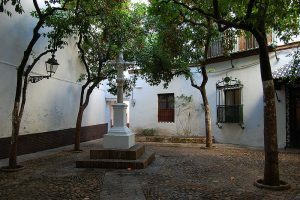 In this web they tell you a little more detail about what to see in the Barrio de Santa Cruz. 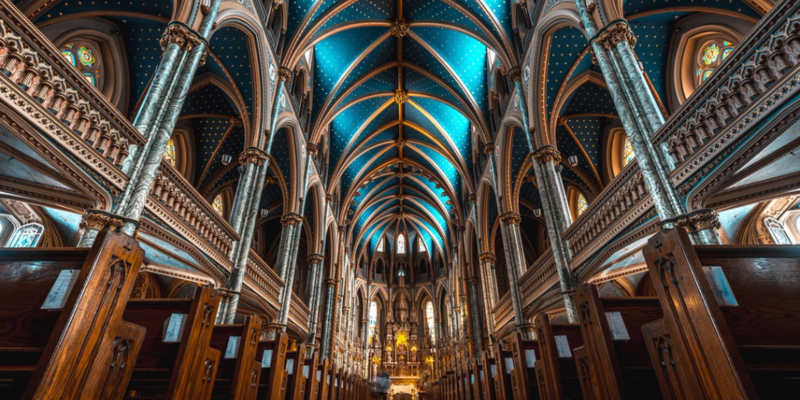 It is one of the most impressive architectural complexes in Spain. A majestic building, with its estuary, both in a semicircle shape and all looking at the Maria Luisa park where you can have a nice walk. Our last but not least absolute must see.